Welcome friends to this week's Tuesday Tune post. I have a confession to make...please don't hold it against me...I can't stand the Game of Thrones series on TV! I know I must be only person in the world who hates it but I just can't get into it all. I've tried watching it, reading the book, my sisters have tried teaching me about it but I just don't like it! I do, however, LOVE one thing about the series and that is the music! The soundtrack is great and I especially love the main theme composed by Ramin Djawadi. Like so many shows on TV, the theme song is an integral part of the viewing experience and we very quickly associate TV shows with their theme. So that got me thinking about TV themes and led me to assemble a playlist of some of my favourite TV theme songs. I've included the themes from Game of Thrones, Breaking Bad, Mad Men, Twin Peaks, Doctor Who and others. I hope you enjoyed today's Tuesday Tunes. Which of these TV Tunes is your favorite? Which TV Tune do you think I should add to my playlist? 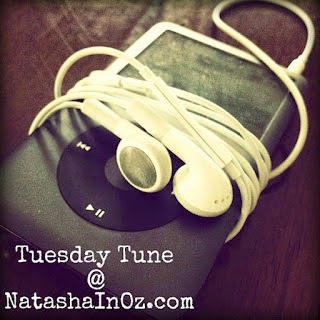 If you have shared a song or anything musical on your blog lately please share your post with us using the Tuesday Tune link up tool below. I'm always wanting to hear new tunes and find new music to listen to! Thanks so much for visiting today. I will be joining a few linky parties this week-click the button to see where you will find me! Thanks so much for visiting today. 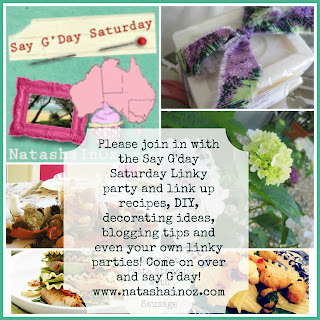 If you haven't already linked up to this week's Say G'day Linky party please just click the button below to join in the fun!